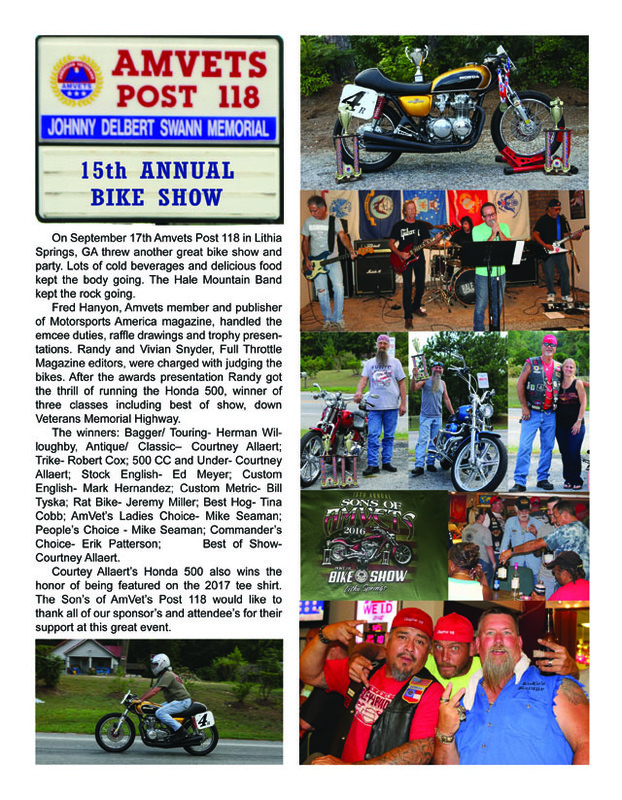 On September 17th Amvets Post 188 in Lithia Springs, GA threw another great bike show and party. Lots of cold beverages and delicious food kept the body going. The Hale Mountain Band kept the rock going. Fred Hanyon, Amvets member and publisher of Motorsports America magazine, handled the emcee duties, raffle drawings and trophy presentations. Randy and Vivian Snyder, Full Throttle Magazine editors, were charged with judging the bikes. After the awards presentation Randy got the thrill of running the Honda 500, winner of three classes including best of show, down Veterans Memorial Highway. The winners: Bagger/ Touring- Herman Willoughby, Antique/ Classic– Courtney Allaert; Trike- Robert Cox; 500 CC and Under- Courtney Allaert; Stock English- Ed Meyer; Custom English- Mark Hernandez; Custom Metric- Bill Tyska; Rat Bike- Jeremy Miller; Best Hog- Tina Cobb; AmVet’s Ladies Choice- Mike Seaman; People’s Choice – Mike Seaman; Commander’s Choice- Erik Patterson; Best of Show- Courtney Allaert. 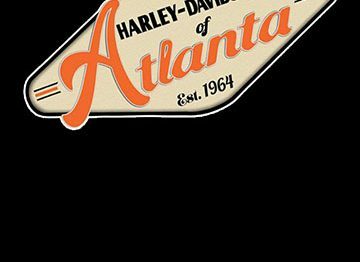 Courtey Allaert’s Honda 500 also wins the honor of being featured on the 2017 tee shirt. The Son’s of AmVet’s Post 118 would like to thank all of our sponsor’s and attendee’s for their support at this great event.